Masca, Garachico & El Drago. 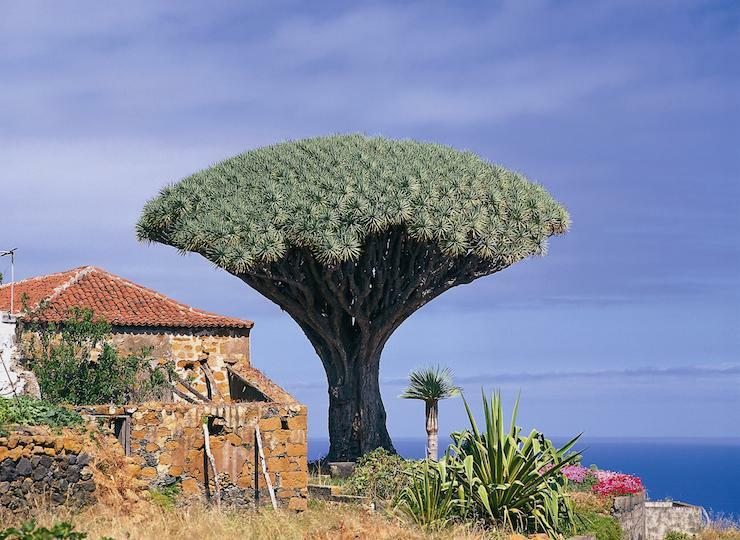 Go West – Private Tour to Masca, Garachico & El Drago in Tenerife is a beautiful half-day private tour through the Teno Mountains to the old pirate village Masca, Garachico – first capital of the island and to the Icod de Los Vinos town with its famous Dragon Tree also called El Drago. From the South of the island, we go through the western part of Tenerife along one of the most beautiful roads for sightseeing in the world by luxury Mercedes Benz limousine, if up to 3-4 people in a family or group, by more spacious van, if 4-8 tour participants or by mid-size private bus in the case of bigger group. This is private excursion exclusively for your group and the tour starts and ends at your hotel at any part of South Tenerife. We could pick you up from the North up to the agreement. 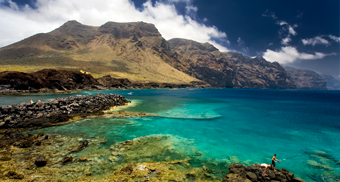 Well, you would not see whole the island with Go West – Private Tour to Masca, Garachico & El Drago in Tenerife, but you will visit beautiful Western part of Tenerife in a relaxing manner and the tour is dedicated to travellers who like to do a few private tour discovering the island without getting tired with a full day tour. It’s especially important for families with young children and older people. For the Go West – Private Tour to Masca, Garachico & El Drago we pick-up you from any hotel or location in Costa Adeje, Los Cristianos, Abama, Alcala, Playa Paraiso, Las Americas or Golf del Sur. After pick-up right from your hotel in the South Tenerife, we start Go West – Private Tour to Masca, Garachico & El Drago with visiting observing platform opening incredible view on the highest cliffs in the Atlantic Ocean – cliffs of Los Gigantes. The cliffs are formed with Teno Mountains as the huge 600 walls rising up from the ocean. After doing photos for memory our way continue through Santiago del Teide town to the Teno Mountains. We will cross whole the Teno Mountains through the narrow and windy Masca Road which’s an attraction by itself. During our drive through the Masca Road, we will have a photo-stop in the Masca village. Masca village was founded by pirates – they were hiding here because the Masca area was completely inaccessible for soldiers with horses. Another stop will offer us a beautiful panoramic view of the Masca village located in the Masca ravine. Along the breath-stopping scenic drive on the Masca road, you will see both typical plants of the South and North-West of the island. Once we stop on the border of two different climate zones where you will be surprised how the weather, nature, and vegetation dramatically different just in 50 meters distance. That’s because the Southern part is protected by mountains and North is constantly getting higher humidity level from the clouds. Later, after the Masca road ends, we will pass through the typical less visited by tourists typical agricultural area to get to the sea level on the Western side of the island in Buenavista del Norte town. Depend on the day, if the only road is accessible, we can also visit the westernmost point of the island – Punta de Teno, a part of Teno rural park. Punta de Teno is a small volcanic peninsula with old lighthouse and beautiful views to the La Gomera island and Los Gigantes cliffs. In this case, you have a chance to see the cliffs from the unusual perspective. The other interesting fact is that there’s again different climate zone by the Punta de Teno – dry and half-deserted landscape is usually the warmest place in Tenerife, because it is totally double protected from winds from the North by Mount Teide and Teno Mountains. After Buenavista del Norte we will pass the small coastal village, San Bernardo, where we can stop for a lunch in a cozy local restaurant to try local Canarian foods and have a relaxing time in the middle of our private tour. 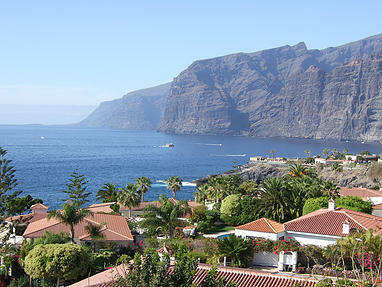 After a break, the Go West – Private Tour to Masca, Garachico & El Drago takes us to Garachico. This tiny town was the first capital, the center of economy and the main island’s trade harbor in the past. The town itself is low rise and a mixture of renovated and in need of renovation buildings and includes several large courtyard style houses. There are many hidden shops that appear to be private houses until they open their doors and display their wares. Most streets are cobbled and narrow, with cars parked on one side. Next, to the main church, there is a big open square, with a bar under the bandstand. An old monastery is adjacent to the main square and open to the public. The municipal authorities have clearly tried to show off their history and many buildings have English, Spanish and German noticeboards, explaining their history. On the front, an old water-mill houses a small museum, as does an old harbourside fort. There are many family run restaurants, with the best hidden away in the back streets. And Garachico is also a kind of local Pompei – on May 5th, 1706, eruption originating from the northwest rift zone was a major event in the town’s history. You will see with your own eyes marks left with 2 huge 300-year old lava flows that destroyed the town. Prior to then, Garachico was an important port exporting Malmsey Wine and other local produce. However, a several-week-long eruption poured lava into the old bay and effectively destroyed the town’s livelihood. 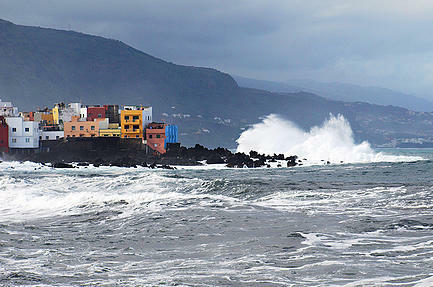 We will have a nice walk in the historical part of Garachico, visiting the main square with two churches survived the catastrophe (if a church’s opened, you will have a chance to get inside) and seashore with its famous natural lava pools and old fort Castillo de San Miguel. 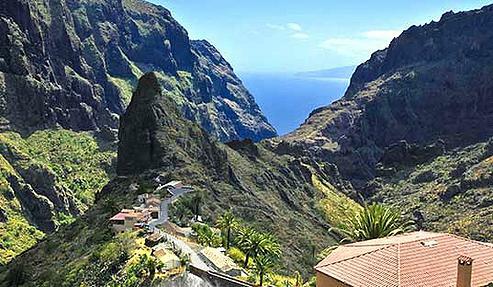 Then, after the visit in Garachico, the Go West – Private Tour to Masca, Garachico & El Drago leads us to the old town of Icod de Los Vinos. The main attraction here is the oldest Dragon tree in the world – Dragon tree also called as El Drago. Majestic up to 5000 years old El Drago is counted as the oldest tree in the world. Icod de Los Vinos old town also representing one of the oldest buildings on the island and its ancient architecture. The other attraction of Icod de Los Vinos it is a butterfly house – Mariposario del Drago, where over 800 kinds of tropical butterflies from all the world around living. Up to your wish here, in Icod de Los Vinos your private guide will organize you a private wine tasting and a nice and cozy atmosphere of typical Canary house. This day will be full of positive emotions, magnificent and stopping breath landscapes and unforgettable feelings. Up to your wish, the Go West – Private Tour to Masca, Garachico & El Drago could be prolonged for visiting La Orotava and National Park El Teide for an additional fee. “We requested an “off the beaten path tour”, away from the tourist traps of the island. Our tour included a winery where the owner and host paid great attention to our desire to learn about the local wines. We made stops for coffee, and later enjoyed a meal at a restaurant along the way with a peaceful, garden setting. The road back was crazy, but Gregory drove with confidence getting us home with a final drive thru the tourist area we were living near. Gregory paid close attention to our mother’s needs as an elderly woman, always being extremely, helpful and gracious. In order to make your booking of Go West – Private Tour to Masca, Garachico, El Drago easy and comfortable Tenerife Host use the most advanced and user friendly booking platform TripsPoint.com where you can easily check last actual prices, the tour availability, required booking deposit and book this tour. To get more information of Go West – Private Tour to Masca, Garachico, El Drago and do booking, please, click the button ‘Book Now’. You will be taken to the tour page at TripsPoint.com where you can easily book the tour. In the case of any questions about our Go West – Private Tour to Masca, Garachico & El Drago, please, feel free to contact us. 249€ – up to 3 persons. The tour price include the only our services, parkings and doesn’t include meals, drinks or entry tickets.